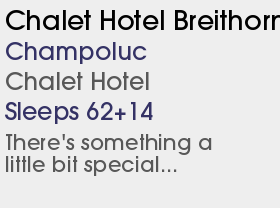 2 Chalet Hotels and 1 Half Board Hotel. Champoluc is a delightful, unspoilt village lying at the top of the Ayas Valley, below the imposing Monte Rosa mountain chain with its towering peaks and extensive glaciers. The surrounding mountains form a natural amphitheatre to the village where the buildings of wood and stone, with their slate roofs, are testimony to the desire of the mountain people to preserve their traditions. Local craftsmen even make wooden clogs - still widely worn around the village! 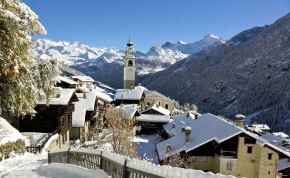 The Monterosa ski area covers three valleys with a modern lift system and with extensive possibilities for off piste skiing and touring in spring. Except at peak holiday periods, mid-week queuing is virtually unknown and the pistes are exceptionally well groomed. The neighbouring hamlet of Frachey has direct access to the main ski area. Snowboarders have a dedicated park and access to all slopes as well as the vast range of off-piste for the more adventurous free riders. Apres Ski - Definitely informal and friendly with the emphasis on local bars and hotels. Recommended: Gram Parson Disco, open at weekends, the Bistrot, Il Golosone Pub and CafÃ¨ Rimbaud with an open fire and excellent cocktails. 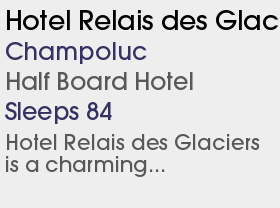 UK tour operator Inghams took over the 3-star Champoluc hotel, right by the gondola, and now runs it as a chalet hotel.